IP65 rated and MIL-STD-810G compliant to withstand shock, vibration, 4 ft drops. In our increasingly interconnected world, transportation and logistics has become a key part of this globalized world through keeping goods and workers on the move. 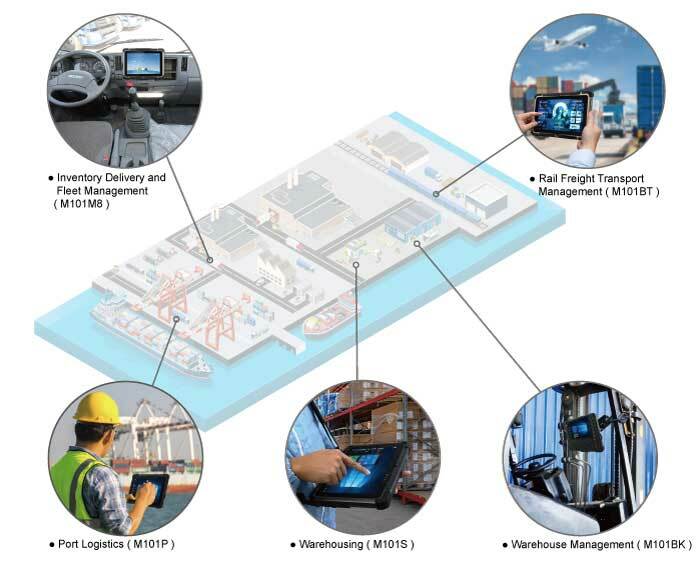 With all companies looking to streamline the movement of goods process, Winmate’s M101 Series of tablets is a perfect solution to data collection and inventory management whether in inventory delivery, port logistics, warehousing or rail cargo management. With its rugged IP65 weather proof design and military standard compliance that withstands shocks and vibrations of vehicle use and survives 4 feet drops when in hand use, the M101 tablet series is the perfect choice to increase your transportation and logistics efficiencies.